“Caribbean Literature in a Global Context.” In The Oxford History of the Novel in English, Volume 11: The Novel in Africa and the Atlantic World, General Editor Patrick Parrinder, Volume Editor Simon Gikandi, 427-442. New York: Oxford University Press, 2016. “Lamming, George.” In The Encyclopedia of Postcolonial Studies, edited by Sangeeta Ray and Henry Schwarz. Wiley-Blackwell, 2016. 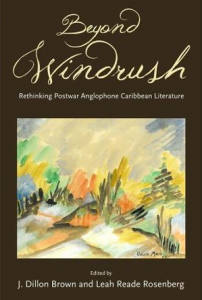 “The Expulsion from the Public Sphere and the Novels of Marie Chauvet.” In Beyond Windrush: Rethinking Postwar West Indian Literature, edited by Dillon Brown and Leah Rosenberg, 194-2015. Hattiesburg: University Press of Mississippi, 2015. “Caribbean literature, anglophone.” In The Encyclopedia of Victorian Literature, edited by Dino Franco Felluga, Pamela K. Gilbert and Linda K. Hughes. Wiley-Blackwell, 2015. Co-author (with Elena Machado Sáez). “The Formation of a Latino/a Canon.” In The Routledge Companion to Latino/a Literature, edited by Frances Aparicio and Suzanne Bost, 385-395. New York: Routledge, 2012. “The Idea of the Literary in the Newspapers and Little Magazines of the 1930s and 1940s.” In The Routledge Companion to Anglophone Caribbean Literatures, edited by Alison Donnell and Michael Bucknor, 609-615. New York: Routledge, 2011. “Colonization in Reverse: White Teeth as Caribbean Novel.” In Zadie Smith: Critical Essays, edited by Tracey Walters, 91-104. New York: Peter Lang, 2008. 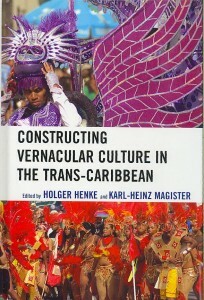 “Readings from Aquí y Allá: Music, Commercialism, and the Latino-Caribbean Transnational Imaginary.” In Constructing Vernacular Culture in the Trans-Caribbean, edited by Holger Henke and Karl-Heinz Magister, 299-320. Landham, MD: Lexington Books, 2008.